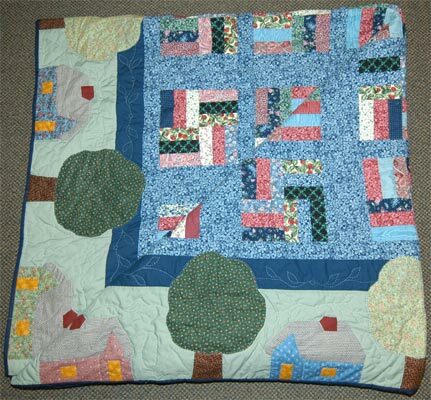 Description: "BerryPatch" Traditional 100% Hand stitched Quilt" 101"x82". Every part is made by hand by Textiles Artist Janet Gordon. For your own personalized order for a quilt contact artist directly at www.novascotiaquilts.com.